Home > Why Home Working? > Leafleting as a Business Or For Your Business? Leafleting is the door-to-door distribution of leaflets by hand through letter boxes in residential areas. The idea of this form of marketing is to take your business’s message direct to potential customers, and literally, put it in their hands. For small businesses and those who work at home, this can be a cheap way of getting your business noticed and making some extra sales. Leaflets drop through our doors a few times a week: from the local Chinese takeaway to landscape gardeners. Many are delivered with local newspapers, but others are delivered on a separate delivery round. Businesses using this marketing method are trying to generate more business, and it is an easy and cheap way of reaching the local population. In most towns it would be fairly easy to distribute anything from a thousand leaflets to 20,000 and get your business message to people who are within your business’s locality. Research suggests that 79 per cent of people can recall the leaflets that were dropped through their doors. However, the percentage of people purchasing as a result is much lower. For example, financial services providers are happy with a 0.1 per cent response rate, and retailers look for 2-3 per cent. Even a 0.1 per cent rate of 20,000 is 20 sales. Whether a 0.1 per cent return would ultimately be worth it for your business will depend on how many leaflets are delivered and the amount of money you make out of each sale. Be pessimistic with the rate of return and “do the maths”. You also have to consider costs involved: paying the delivery company, the printers, and the cost of your own time. You could save on some of these things. Why not take to the streets and deliver the leaflets yourself? This would save on money and have the added benefit of getting you out of the house and getting some exercise! Saving on printing (by using your home printer) might seem worthwhile, but is probably a false economy. You will be using ink and paper, and the final product is unlikely to be as effective as a professionally printed version. You could, however, design it yourself and get the printer to print your design. As well as costs, there is another aspect to consider. If 79 per cent of leaflet recipients remember what was in the door-drop, then it may be worth it to you to get your business’s name known in your locality. Awareness is important, and could help future sales. A leaflet will stand a much better chance of prompting action if there is an offer involved. A voucher will often make a potential customer keep the leaflet for future use. Using an offer unique to the leaflet will also give you all useful information to determine whether you campaign is successful. You may be reading this as someone looking to make a career for themselves at home, but you may not yet have had the ‘big idea’ for your business. Well, how about this? You could set yourself up as a leaflet distribution company. Doing this can give you a job that you are able run from home, as well as fresh air and exercise – much needed in the modern world! It is a business that can grow beyond a single person’s capacity. In this case you, as the business owner, would become the organiser of other people delivering leaflets for your business. Such deliverers need not be employed by you, but used as contractors who would invoice you at the agreed rate for their delivery services. You would probably still have time to deliver some leaflets yourself. Making contacts with designers and printers would enable you to provide a “one-stop shop” for local businesses needing a delivery service. 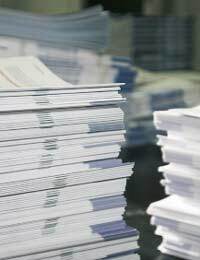 There are usually two options provided for businesses wanting leaflets delivered. These are SOLUS and SHAREPLAN. With a Solus delivery the leaflet of only one business is delivered. In a shareplan delivery the leaflets of several businesses are delivered together. As the business owner you will charge less, but make more money from the shareplan option. If you’re looking for a business idea, this is worth looking in to. Do your homework, do the maths. Your first leaflet drop? Your own: telling all local businesses about your new service!